On 23rd June 2015 Lord Farmer asked Her Majesty’s Government “in the light of the Parliamentary and Health Service Ombudsman’s report Dying Without Dignity, what steps they are taking to ensure that everyone in need has access to good palliative care.” The Bishop of Bristol, Rt Revd Mike Hill, asked a further question about chaplaincy. The Lord Bishop of Bristol: My Lords, given that both NICE and NHS England have commended the services of spiritual, pastoral and religious care in the care of all people and in delivering great services to patients, clients and staff, can the Minister give us any assurances that a chaplaincy will be funded, going forward, in all NHS facilities that provide palliative care? 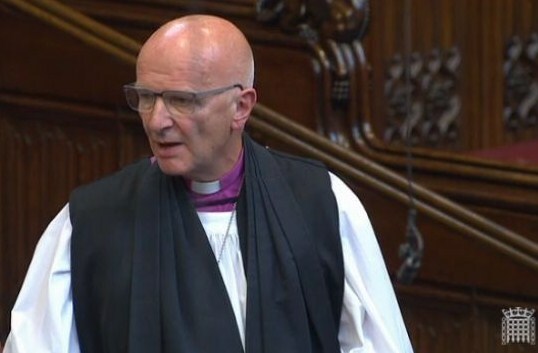 Lord Prior of Brampton: I thank the right reverend Prelate for that question. I share his sentiments entirely but that is a decision for local hospitals and local trusts.